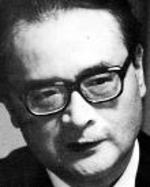 (1920-1988) Born in Tokyo, Ayukawa Nobuo (real name Kamimura Ryuichi) was a founding member of the poetry group Arechi (Wasteland) and, as poet and critic, soldier and pacifist, was a strong inspiration to many important Japanese writers and poets of the postwar and subsequent generations. Recently the poetry prize named after him was established for living Japanese poets. Translator Takako Lento earned an MFA in poetry and translation from the University of Iowa Writers’ Workshop. Cornell will publish Selected Poems of Tanikawa Shuntaro next spring. Ms. Lento has been long engaged in the translation of modern Japanese poets.